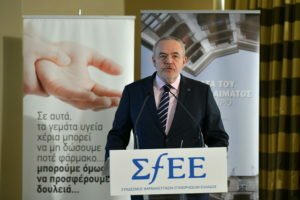 Athens, 12 February 2019.- Improved communication and stronger cooperation between the pharmaceutical industry and patient organisations emerged as the shared goals of the two sides at the first closed interactive meeting held by the Hellenic Association of Pharmaceutical Companies (SfEE) and the European Federation of Pharmaceutical Industries and Associations (EFPIA) on Wednesday, 6 February 2019. The day-long meeting included speeches by representatives of the pharmaceutical industry and patient associations, as well as workshops to identify barriers and recommend potential solutions to improve communication and cooperation between the two sides. 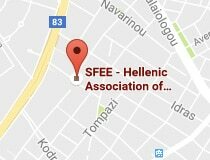 The need for more active and substantive input by patients into decision-making and shaping pharma policy, as well as the pivotal role that SFEE can play in drawing up a sound framework to that end were the main topics raised. Kyriakos Souliotis, Associate Professor of Health Policy at the University of Peloponnese School of Social and Political Sciences and Associate Director of LSE Enterprise, Medical Technology Research Group, presented significant findings from his European-wide study on patient participation in health policy decision-making. EFPIA Communications Director Andy Powrie-Smith highlighted the importance of mutual communication and cooperation between the pharmaceutical industry and patient associations, and, among other things, said: “We don’t have all the answers, but dialogue and exchange of information help us to better understand patient needs and to achieve better cooperation.” Finally, he presented EFPIA’s cooperation model for working with patient associations, the Federation’s Patients Think Tank, as well as best practices. Together with Ian Banks, representing the European Cancer Organisation, Andy Powrie-Smith coordinated the interactive workshops to identify obstacles to cooperation between the pharmaceutical industry and patient groups, and to develop possible solutions. 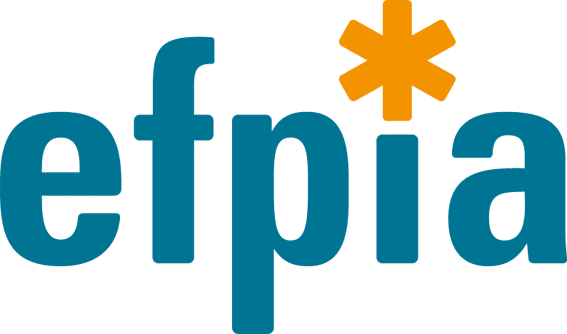 The initiative took place as part of an EFPIA pilot programme, launched a year ago. 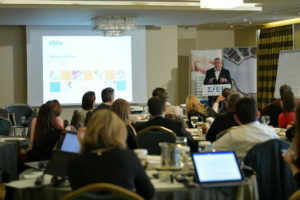 Greece was the third country to be visited by EFPIA, after stops in Berlin and Bucharest. 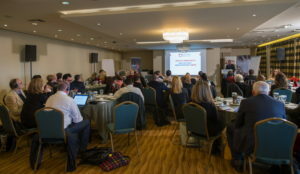 Participation in Greece was highest, as the event was attended by more than 50 patient association representatives and pharmaceutical executives who agreed that this meeting would be the first in a series of annual meetings and the beginning of a productive cooperation.